We've really gotten used to the Kershaw to Ellis combination out here in Los Angeles. L.A. has come to love A.J. Ellis. He's a solid hitter. He's good at throwing to second. He's an all-around nice guy, according to other Dodgers who spend a lot of time with him. Generally speaking, he's a good guy to have on the team. As of Thursday, however, Ellis no longer wears the blue and grey of L.A., but rather the red and white of Philadelphia as he was dealt to the Phillies for catcher Carlos Ruiz. This trade reminded me of another trade, this one between the Angels and the Braves in 1991 . . . Does anyone remember Wally Joyner with the Angels? Or, should I say, does anyone remember when the Angels traded a real life angel to the Kansas City Royals and replaced him with a guy who got kicked out of the World Series for cocaine use? One of my all time favourite Jim Murray stories was a December morning in 1991 . . . Dec. 17 to be exact. Jim was writing and the phone rang. I answered . . .
Voice on the other end: "Is Jim there?" Me: "He's writing. May I take a message." 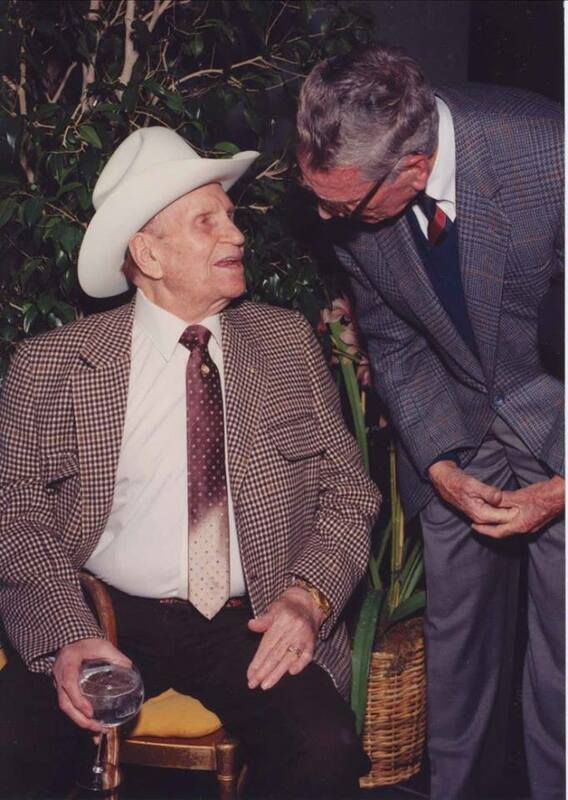 Voice: "Tell him it's Gene Autry. He'll take this call." Me: "Jim, Gene Autry is on the phone." Jim: "I knew that was going to happen." Jim picked up the phone and after about two minutes of “yes," “sure,” “yes,” “ok” . . . he hung up. Jim: "Yeah, he just needed to yell at someone. I drew the short straw." And now, here's the column that got Gene Autry all riled up . . .
All right, Miss Blue Eyes, how about a letter to Gene Autry, the head Angel on this year's Christmas tree? Ready? Mark it, "Open anytime." "No matter. I have a subject of some interest I'd like to discuss with you. "It's the matter of Wally Joyner, your first baseman. Your ex-first baseman. he always had this smile on his face. He seemed to have time for autographs. He really kind of looked like an Angel, if you know what I mean. This baby face. He always looked as if someone had just wiped Pablum off it. You wanted to put him back in his high chair or look around for his nanny. "But how he could hit a baseball! His fast bat, quick wrists, level swing. For pitchers, it was like getting bit by your pet poodle, but Wally put the numbers up. He hit .301 last year with 21 home runs and 96 runs batted in. He hit .290 one year with 100 runs batted in, and .285 another with 117 runs batted in. He's as popular as ice cream in Anaheim. There's Mickey Mouse — and there's Wally Joyner. "So you let him go with a shrug. "It's what happened after that that bothers me. "I pick up the papers and see where the Angels are maneuvering to replace Joyner. They are throwing money off the back of trucks to get a guy named Otis Nixon from the Atlanta Braves. "Now, I don't know much about Otis Nixon. He may be good to his mother, kind to kids and a barrel of laughs around the house. "But I do know he snorted himself out of the World Series last year. He could have cost his team that Series by his enforced absence. There wasn't much else to choose between the Atlanta Braves and Minnesota Twins. "But his absence was not caused by a bruised calf, a pulled hamstring or a torn rotator cuff. Nixon was suspended from baseball for 60 days for violation of the game's drug rules. At the time you were bidding on him, Gene, he still had 18 days to serve of a 60-day suspension, as a second-time loser. He'll miss the start of next season. "There weren't too many teams interested in taking on this problem player. His own Braves were lukewarm. "And then, along came your team, Gene. You raised the bidding for this guy to unconscionable heights. "It was widely believed that Otis Nixon had irrevocably damaged his market value. His chances at a big-money contract were considered nil because of his drug use. His own club, the Braves, was believed to have made a grudging offer of $750,000 for a year, with bonuses depending on his fitness to play. "Then, the Angels sat in on the game. "Nixon had earned $585,000 the year before. The Angels opened the general bidding at $8 million. "Nixon's agent was overjoyed. He should have been. The Angels turned damaged goods into the Kohinoor diamond. The next day, the Braves signed Nixon for $8.1 million for three years. "Gene, can I ask you something? What kind of message does this bring to young people of America? Snort coke and get a $2-million raise? Live right and wind up in Kansas City? "I guess Otis Nixon would have helped your team. On the other hand, he's not Ty Cobb. He can run. Stole 72 bases last year. Hit .297. "He also stole 50 bases in 1990, at Montreal, and hit .251. He stole 46 bases the year before, batting only .217. "Someone's going to have to explain to me how you can do that in the throes of an addiction. "Anyway, I'm glad you didn't get him. I don't find him an acceptable substitute at all for Wally Joyner. I know some guys would suit up Hitler if they thought he would bring them a pennant — or put them in the Super Bowl. "But that's not your image, Gene.